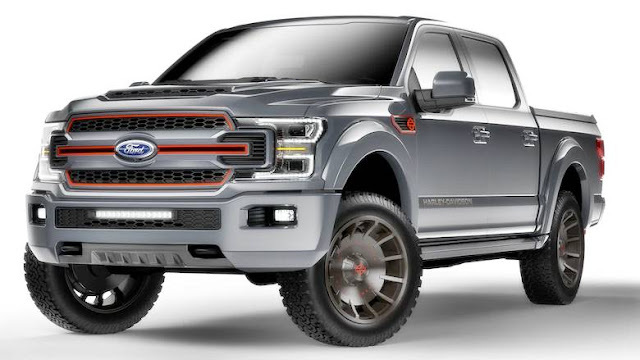 2019 Ford F-150 Harley Davidson Edition Concept Designed - Harley-Davidson and Tuscany Motor Company rolled out a Harley-Davidson Concept Custom 2019 Ford F-150 for the motorcycle marque's 115th Anniversary Celebration this weekend in Milwaukee, Wisconsin. The Harley styling crew and Ford-authorized specialty vehicle manufacturer Tuscany Motor Company co-designed the new concept pickup, which takes its styling cues from Harley's most popular and iconic ride—the Fat Boy. It will be on view at the Harley-Davidson Museum and it looks like the perfect hauler for next year's ride out to Sturgis. "Harley-Davidson is one of the most iconic brands in the world," said Jeff Burttschell, Tuscany Motor Co. VP, in a statement. "The new truck was designed to evoke the same sense of power and freedom as the Harley-Davidson motorcycles that inspired it." And that it does. The concept truck gets a matching coat of Vivid Black paint (or Leadfoot Gray), plenty of H-D bar and shield badging, custom tuned BDS suspension lift with upgraded Fox shocks, lighted power running boards with unique integrated rocker trim, and a custom-tuned Flowmaster exhaust with H-D solid billet aluminum tips. 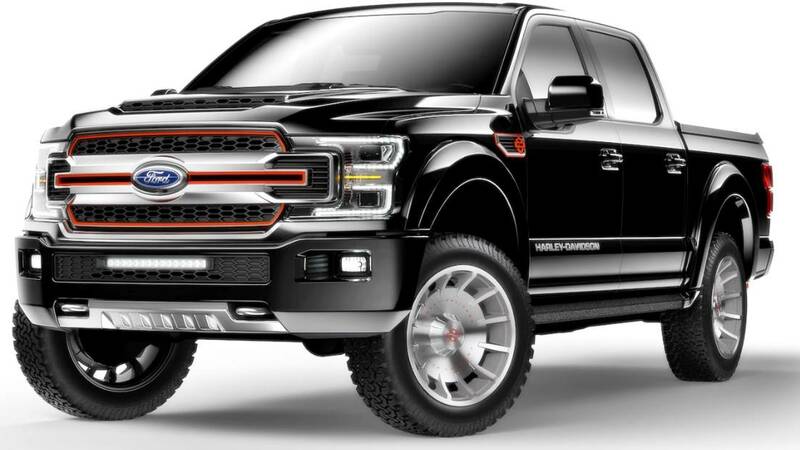 The custom F-150 also sports a ram-air hood, custom fender flares and vents, a front bumper cap with skid plate, LED light bar, honeycomb grille and mesh, locking ABS tonneau cover, and rolls on Fat Boy-style 22-inch milled aluminum wheels with 35-inch all-terrain rubber. Inside of the 2019 Ford F-150 Harley Davidson Edition, there's a splash of orange accents on the door, dash, and steering wheel trim, plus stainless steel H-D gauges, billet H-D racing pedals, and two-tone diamond stitched perforated custom leather seats. Need more H-D? 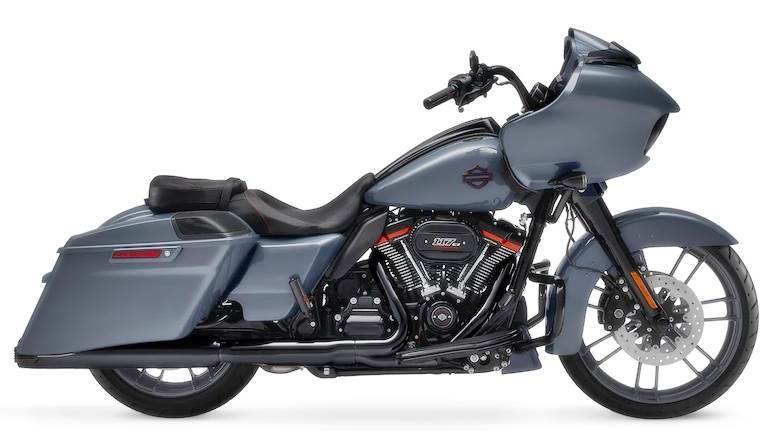 There's also H-D-emblazoned floor mats, door sills, and a numbered center console badge complete with the Harley logo.